Let's check out this very nice looking 1929 4.5 litre Bentley review. Why not take it around a race track? I think the video is from the year 2000. 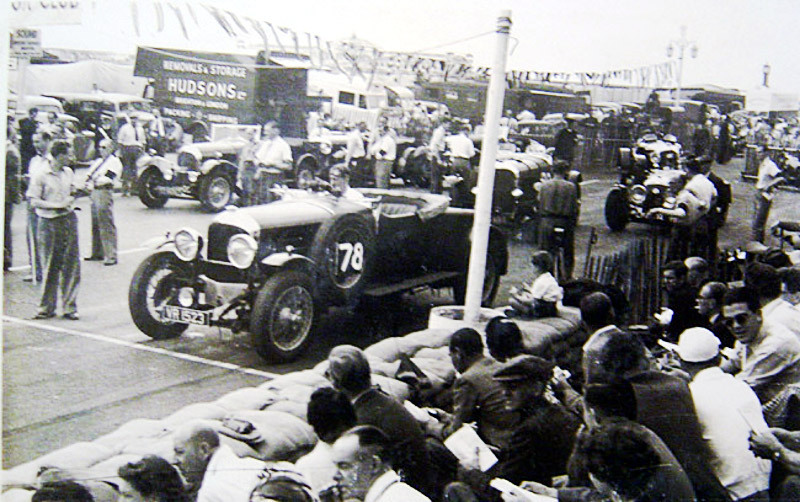 The journo claims that is it the 1928 London Motor Show 4.5 litre Bentley. A quick check on VintageBentleys.org and it's actually a 1929 4.5 litre, chassis PL3476. What is cool, it that the car is in active use today, and sees the world. Current owner Bob Ashworth has his own website called BobsBentleyTours.co.uk and he tours the world in the car. The car has been to the Spain, South Africa and India to name a few. Hopefully I will get to see it if it comes down under! Keep up the fun times Bob. The car was originally fitted with a Vanden Plas Body, No. 1611, sketch 440, which was a fabric 2 seater, and had a double dickey seat to the rear with a 3 piece wind screen. The body was fitted on the 7/1929. Check this out - here is a photo of the car with it's original body from 1950. Thanks to Bob and OldClassicCar for the photos.